We've tried to build this OS update with the mobile phones that we had was the Lumia625H curious, on the basis of the previous update Build 10660. First time from the internet, find out how the continuation of the development of Windows mobile 10. And we get in windows central wmpoweruser , explaining that Windows mobile 10 build 10512 has been release. 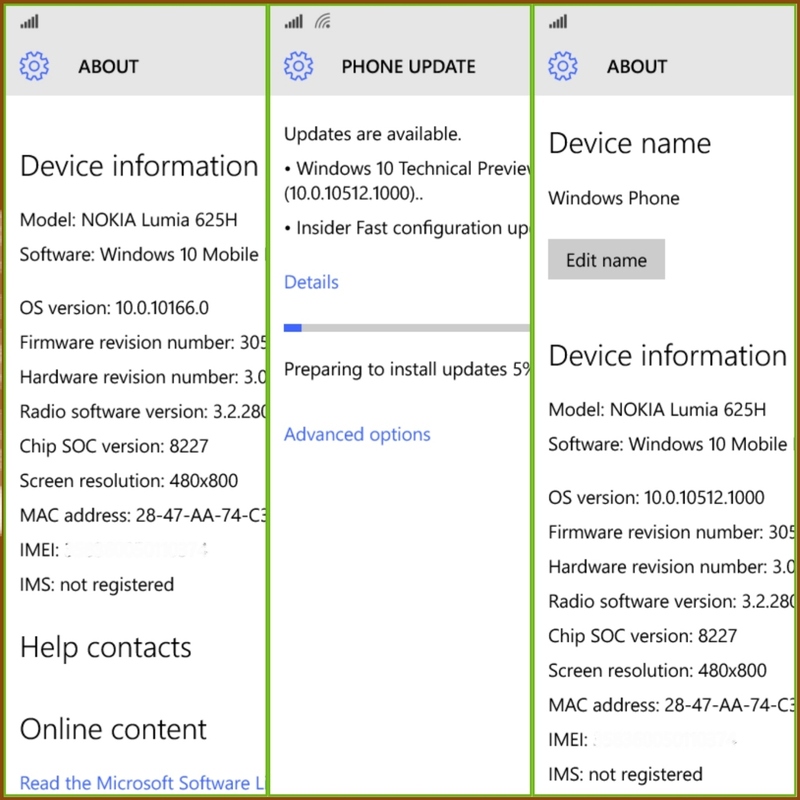 Initially the Lumia install Windows insider with slow ring selecting, and mobile phones directly download the file updates Windows mobile 10 build 10166. After WP 10 build 10166 installed, existing applications will soon be updated by itself following the new OS. Then, reopen Windows insider to choose the ring you want. Ring slow or Fast options, but the State does not affect. But the automatic Windows update will soon be updating the download file in preparation for the installation of Windows phones build 10512. We check back to the communications system, the result is the same as the Build 10166: with your simcard installed in 625H, Your Lumia can still make a phone call but can not send message via SMS. with notification ... ' try again '. Then what about if on reset advance (while in WP 10 build 10166), which then continue with the Update Windows build 10512? In this way, we have yet to try it out, your mobile users are still curious Lumia 625H please try updating it. You are on the website page WINDOWS MOBILE PHONE - setting and Upgrade. WP 10 build 10512 on 625H With the link URL http://hand-uk.blogspot.com/2015/08/wp-10-build-10512-on-625h.html for this articles, you can bookmark or share to any. Our expectation that Windows smart phone users, can understand and know about OS Windows phone. 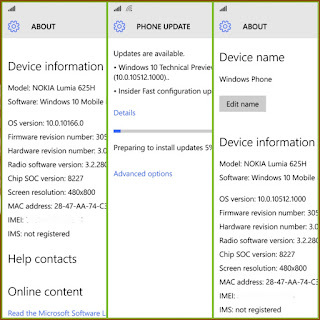 WP 10 build 10512 on 625H Is a link for you, How to use the pure smart phone.